The Capitol Center for the Arts in Concord NH has some seriously awesome shows coming up the next few months. They are having Weird Al Yankovic, Primus, and Irish Night with David Surette and the Jordan Tirrell-Wysocki Trio. Irish night takes places this Friday, February 6th at 8pm. I plan on being at this show on Friday. Why? Because it is going to be F(*&^ing fancy pants fun!. 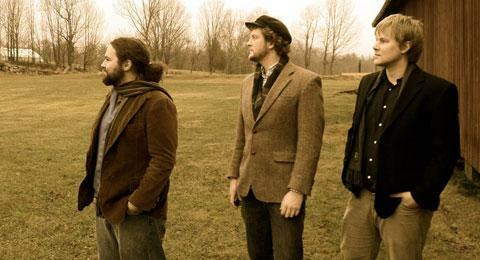 The Jordan Tirrell-Wysocki Trio features three of the best local musicians. Jordan, Chris Noyes and Matt Jensen. I could go on about how these three men give new meaning to the word ‘virtuoso’ or I could talk about how they all are really nice people or I could tell you about how the three bandmates can levitate for short periods of time or that if you close your eyes while listening to their music, you can’t see them. But I won’t. You don’t need to hear me go on and on about them. You know. You know how good they are. The only question is; are you gonna be one of the lucky ones in the audience this Friday. It doesn’t stop with the Trio- David Surette will also be performing. David is one of New England’s top musicians as well! David is considered by most to be one of the best Celtic fingerstyle guitar players in the world. His technique is flawless and a pleasure for your ears. His performance along with The Jordan Tirrell-Wysocki Trio will be one of the best shows this year. Irish Night is in the Spotlight Café portion of the Cap Center. It is a smaller and much more intimate location for performances. The great part about the Spotlight Café is the sound. The sound guy, who I have talked to a few times but can never remember his name, is superb. I’ll have to introduce myself to him again and get his name, again… The audience’s that go to Spotlight shows are also always great. Instead of being a bunch of drunks collected in a room pretending to enjoy music, the spotlight café has a truly appreciative audience. I cannot wait for Friday’s show. You will see me there with my pregnant wife. She doesn’t know yet that she is going. I guess it will be a surprise. I plan on taking to dinner at O’s and then the show. I’m not even gonna tell her. We will see if she actually reads every article I write, like she says she does.